As my favorite season of the year approaches and we are all pulling out our autumn decorations, I am pleased to introduce you to Martina Trejo with Shutterfly. Martina is hosting today’s post and shares with us helpful tips to transform our mantel for the season. 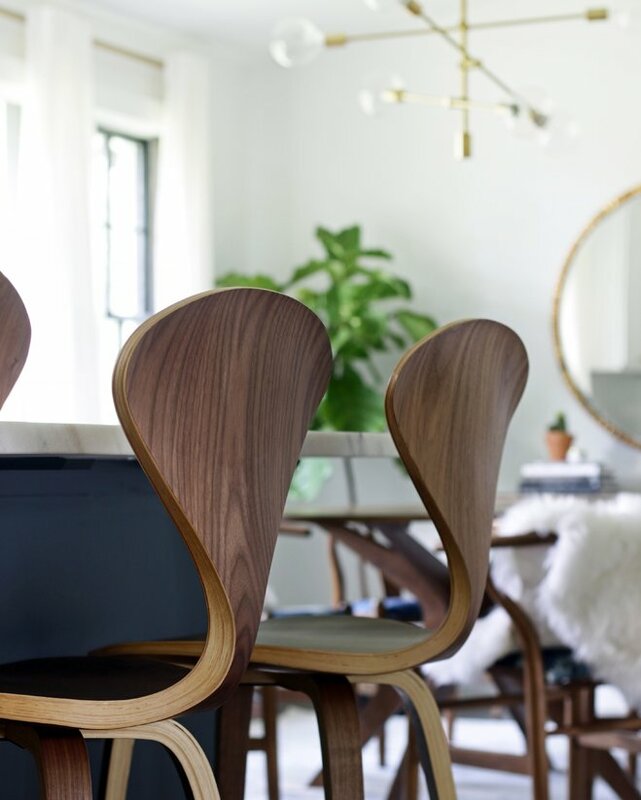 You’re going to love these gorgeous Fall décor ideas and all the helpful inspiration. With Halloween candy already adorning the aisles at the grocery stores you cannot argue that fall is around the corner. Yes, the autumn season is coming soon, so here are some mantel decor ideas that can be easily replicated and are composed of classic elements to create something elegant for the hearth. Instead of overdoing your fall design with the many iconic aspects of the season, choose a decorative theme that will help you create a cohesive look. 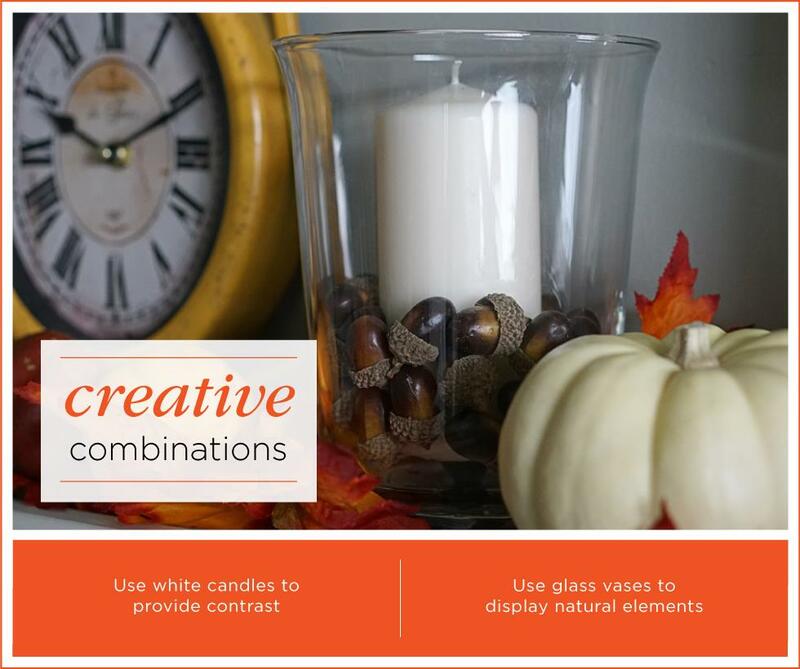 This clear and focused mantel display from Shutterfly has all the necessary elements for a festive fall mantel. Combining indoor and outdoor aspects is a quintessential way to create the feeling of the season on your mantel. 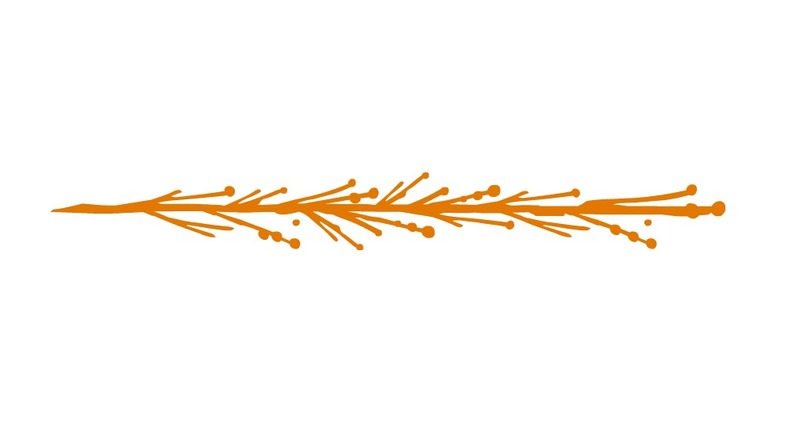 Starting with a leaf garland as a base opens up the colors of autumn in reds, yellows, and oranges. Then putting acorns in a glass hurricane candle holder is simple and elegant. Fall brings to mind vintage pieces using aspects such as reclaimed wood or shabby chic antiques. Here, an old clock stands as a perfect representation of the passage of time. Note that the yellow of the piece matches the fall theme perfectly. A vase full of pinecones further puts the season on display. Decorative gourds are a must for your mantel. Switching between classic baby pumpkins and a few other matching squash elements grants some visual interest and keeps the traditional while adding whimsy. 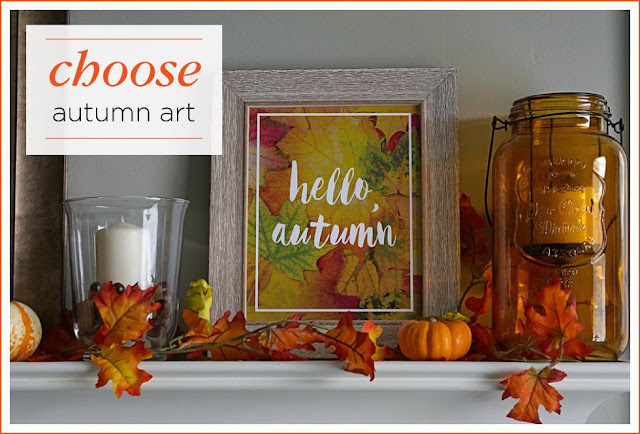 Framed themed prints with your favorite fall sayings are a great way to welcome guests to your home. You can even include a warm family photo. Finally, complete the look with something vintage, like a lantern, also in the orange color range. You can even add a mirror as the main focal point which will brighten the room with a minimalist twist. Keeping in color theme and staying simple are the most important parts of this design. Stay true to these principles to create something beautiful for fall! Anyone can decorate like a pro. Sometimes all you need is a little inspiration and know-how! Thanks to Martina and Shutterfly, we have what we need to transform our mantels into tasteful, gorgeous works of art. Be sure to check out more beautiful mantel decor ideas and inspiration at Shutterfly. 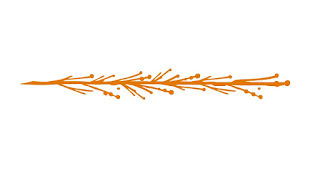 If you haven't checked out Shutterfly lately, be sure to browse their home decorating accents HERE. Thanks again, Martina and Shutterfly, for being my guest! Photos and post provided by Martina Trejo and Shutterfly Please be advised, this post may contain affiliate links.